Over the weekend, Democrats approved a draft version of the party’s official 2016 policy platform for 2016. Although the document still needs final approval at the convention, it’s shockingly progressive in its current form. Most notably, the Democratic policy platform includes support for marijuana legalization. This is an enormous victory for the left wing of the party, and if implemented, would represent a seismic shift in U.S. drug policy. The Controlled Substance Act (CSA) is the federal law under which marijuana and other drugs are rendered illegal, and it outlines five categories, or “schedules,” into which drugs can be placed. Schedule I drugs are considered to be the most dangerous and, as such, are flatly illegal at the federal level. Incredibly, this is the category under which marijuana — a drug that has never caused a single overdose death and which can provide numerous health benefits to its users — is classified. The plan, per the Democratic platform, is to remove marijuana from Schedule I (or “Class 1,” as the document mysteriously refers to it) of the CSA. To be clear this, such a change wouldn’t automatically legalize recreational marijuana. In all likelihood, weed would simply be downgraded to one of the lower schedules, and drugs in Schedules II-V (like methadone, Valium and some cough syrups) are still heavily regulated. But downgrading marijuana from Schedule I would be huge nonetheless. Such a change would make marijuana eligible, on the federal level, for both medical use and medical studies. Currently, marijuana’s Schedule I classification makes it extraordinarily difficult to (legally) conduct clinical trials of the drug, and removing this obstacle could open the floodgates for more information and insights into how exactly marijuana interacts with the human body. What’s more, the Democratic platform also asks for “a reasoned pathway for future legalization.” Tellingly, the language is vague on what type of legalization is being endorsed; it could mean full recreational legalization, lightly-regulated medical legalization, highly restrictive legalization for clinical studies only, or anything in between. Nevertheless, the direction of movement is clear: Democrats want to expand, not contract or retain, the situations in which marijuana can be legally used. 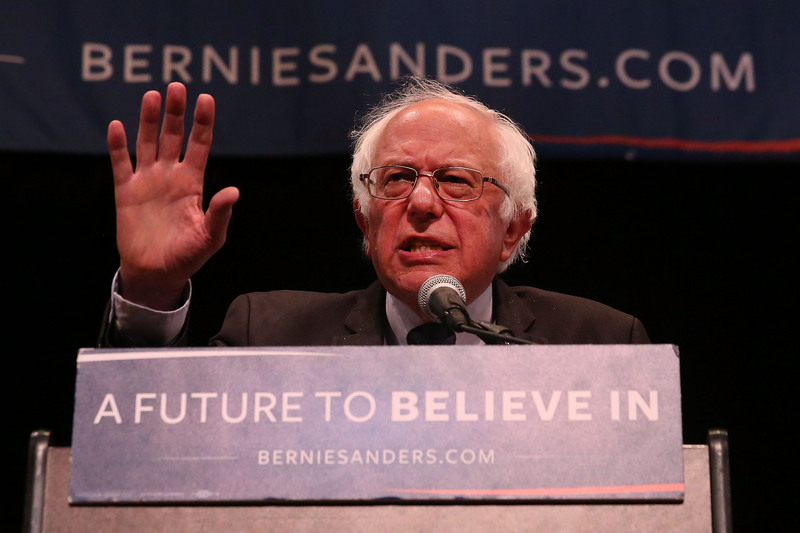 Ever since it became clear that Bernie Sanders wasn’t going to win the Democratic presidential nomination, the Vermont senator has been focused on getting as many of his policy stances as possible into the Democratic platform. Marijuana legalization is one such policy, and its inclusion in the Democratic platform, if approved in final form at the convention, will be huge victory for him and his supporters.